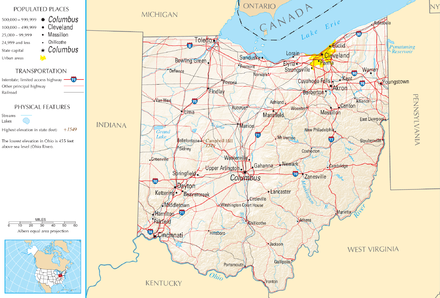 Hang On Sloopy (1985)  "
Ohio /oʊˈhaɪoʊ/ ( listen ) is a Midwestern state in the Great Lakes region of the United States. Of the fifty states, it is the 34th largest by area, the seventh most populous, and the tenth most densely populated. The state's capital and largest city is Columbus. Seneca is the language of the Seneca people, one of the Six Nations of the Iroquois League; it is an Iroquoian language, spoken at the time of contact in the western portion of New York. While the name Seneca, attested as early as the seventeenth century, is of obscure origins, the endonym Onödowáʼga꞉ translates to "those of the big hill." 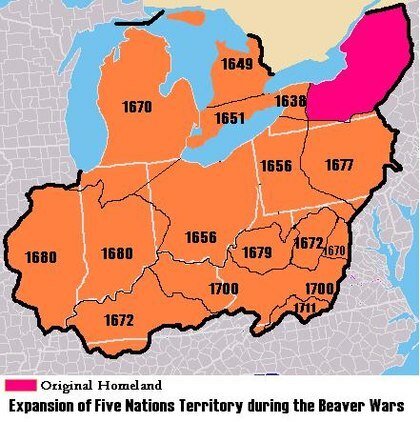 About 10,000 Seneca live in the United States and Canada, primarily on reservations in western New York, with others living in Oklahoma and near Brantford, Ontario. As of 2013, an active language revitalization program is underway. 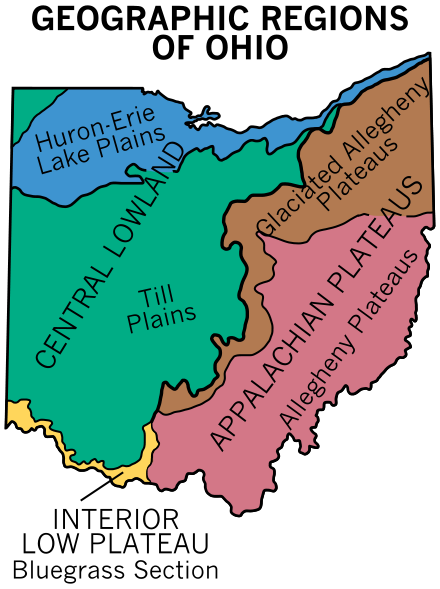 The Northwest Territory in the United States was formed after the American Revolutionary War, and was known formally as the Territory Northwest of the River Ohio. It was the initial post-colonial Territory of the United States and encompassed most of pre-war British colonial territory west of the Appalachian mountains north of the Ohio River. It included all the land west of Pennsylvania, northwest of the Ohio River and east of the Mississippi River below the Great Lakes. It spanned all or large parts of six eventual U.S. States. It was created as a Territory by the Northwest Ordinance July 13, 1787, reduced to Ohio, eastern Michigan and a sliver of southeastern Indiana with the formation of Indiana Territory July 4, 1800, and ceased to exist March 1, 1803, when the southeastern portion of the territory was admitted to the Union as the state of Ohio, and the remainder attached to Indiana Territory. 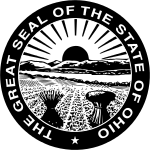 The government of Ohio is composed of the executive branch, led by the Governor; the legislative branch, which comprises the bicameral Ohio General Assembly; and the judicial branch, led by the state Supreme Court. 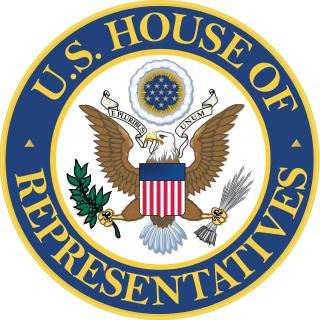 Ohio occupies 16 seats in the United States House of Representatives. Ohio is known for its status as both a swing state and a bellwether in national elections. Six Presidents of the United States have been elected who had Ohio as their home state. The Supreme Court of Ohio is the highest court in the U.S. state of Ohio, with final authority over interpretations of Ohio law and the Ohio Constitution. The court has seven members, a chief justice and six associate justices, each serving six-year terms. Since 2004, the court has met in the Thomas J. Moyer Ohio Judicial Center on the east bank of the Scioto River in downtown Columbus. Prior to 2004, the court met in the James A. Rhodes State Office Tower and earlier in the Judiciary Annex of the Ohio Statehouse. The Great Miami River is a tributary of the Ohio River, approximately 160 miles (260 km) long, in southwestern Ohio and Indiana in the United States. The Great Miami flows through Dayton, Piqua, Troy, Hamilton, and Sidney. Ohio is bounded by the Ohio River, but nearly all of the river itself belongs to Kentucky and West Virginia. In 1980, the U.S. Supreme Court held that, based on the wording of the cessation of territory by Virginia (which at that time included what is now Kentucky and West Virginia), the boundary between Ohio and Kentucky (and, by implication, West Virginia) is the northern low-water mark of the river as it existed in 1792. Ohio has only that portion of the river between the river's 1792 low-water mark and the present high-water mark. There were three other cultures contemporaneous with the Mississippians: the Fort Ancient people, the Whittlesey Focus people  & the Monongahela Culture. All three cultures disappeared in the 17th century. Their origins are unknown. It is generally believed[ weasel words ] that the Shawnees may have[ weasel words ] absorbed the Fort Ancient people. It's also possible[ weasel words ] that the Monongahela held no land in Ohio during the Colonial Era. The Mississippian Culture were close to and traded extensively with the Fort Ancient people. The indigenous nations to inhabit Ohio in the historical period[ vague ] included the Iroquoian  , the Algonquian  & the Siouan  . Ohio country was also the site of Indian massacres, such as the Yellow Creek Massacre, Gnadenhutten and Pontiac's Rebellion school massacre. Most Native Peoples who remained in Ohio were slowly bought out[ where? ] and convinced to leave[ how? ], or ordered to do so by law[ which? ], in the early 19th century with the Indian Removal Act of 1830. Pontiac's Rebellion in the 1760s, however, posed a challenge to British military control. This came to an end with the colonists' victory in the American Revolution. In the Treaty of Paris in 1783, Britain ceded all claims to Ohio country to the United States. 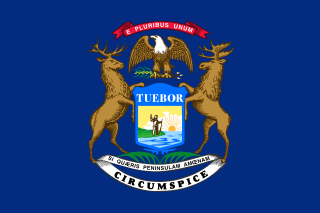 The United States created the Northwest Territory under the Northwest Ordinance of 1787. Slavery was not permitted in the new territory. Settlement began with the founding of Marietta by the Ohio Company of Associates, which had been formed by a group of American Revolutionary War veterans. Following the Ohio Company, the Miami Company (also referred to as the "Symmes Purchase") claimed the southwestern section, and the Connecticut Land Company surveyed and settled the Connecticut Western Reserve in present-day Northeast Ohio. Territorial surveyors from Fort Steuben began surveying an area of eastern Ohio called the Seven Ranges at about the same time. Eight US Presidents hailed from Ohio at the time of their elections, giving rise to its nickname "Mother of Presidents," a sobriquet it shares with Virginia. It is also termed "Modern Mother of Presidents,"  in contrast to Virginia's status as the origin of presidents earlier in American history. Seven Presidents were born in Ohio, making it second to Virginia's eight. Virginia-born William Henry Harrison lived most of his life in Ohio and is also buried there. Harrison conducted his political career while living on the family compound, founded by his father-in-law, John Cleves Symmes, in North Bend, Ohio. The seven presidents born in Ohio were Ulysses S. Grant, Rutherford B. Hayes, James A. Garfield, Benjamin Harrison (grandson of William Henry Harrison), William McKinley, William Howard Taft and Warren G. Harding. In 2010, there were 469,700 foreign-born residents in Ohio, corresponding to 4.1% of the total population. Of these, 229,049 (2.0%) were naturalized US citizens and 240,699 (2.1%) were not. The largest groups were:  Mexico (54,166), India (50,256), China (34,901), Germany (19,219), Philippines (16,410), United Kingdom (15,917), Canada (14,223), Russia (11,763), South Korea (11,307), and Ukraine (10,681). Though predominantly white, Ohio has large black populations in all major metropolitan areas throughout the state, Ohio has a significant Hispanic population made up of Mexicans in Toledo and Columbus, and Puerto Ricans in Cleveland and Columbus, and also has a significant and diverse Asian population in Columbus. Ohio has five international airports, four commercial, and two military. The five international include Cleveland Hopkins International Airport, John Glenn Columbus International Airport, and Dayton International Airport, Ohio's third largest airport. Akron Fulton International Airport handles cargo and for private use. Rickenbacker International Airport is one of two military airfields which is also home to the 7th largest FedEx building in America. [ citation needed ] The other military airfield is Wright Patterson Air Force Base which is one of the largest Air Force bases in the United States. Other major airports are located in Toledo and Akron. The state government of Ohio consists of the executive,  judicial,  and legislative  branches. 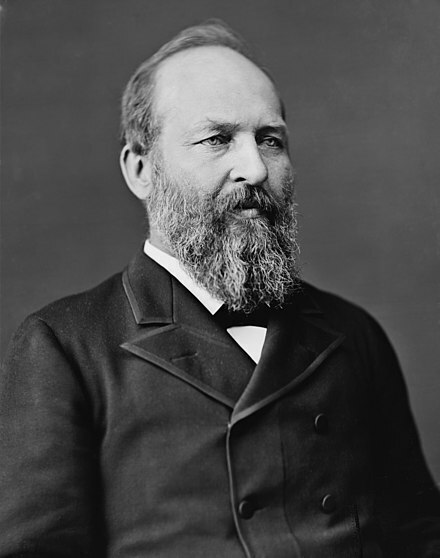 Ohio, nicknamed the "Mother of Presidents," has sent seven of its native sons (Ulysses S. Grant, Rutherford B. Hayes, James A. Garfield, Benjamin Harrison, William McKinley, William Howard Taft, and Warren G. Harding) to the White House. All seven were Republicans. Virginia native William Henry Harrison, a Whig, resided in Ohio. Historian R. Douglas Hurt asserts that not since Virginia "had a state made such a mark on national political affairs". The Economist notes that "This slice of the mid-west contains a bit of everything American — part north-eastern and part southern, part urban and part rural, part hardscrabble poverty and part booming suburb",  Ohio is the only state that has voted for the winning Presidential candidate in each election since 1964, and in 33 of the 37 held since the Civil War. No Republican has ever won the presidency without winning Ohio. Ohio played a central role in the development of both Major League Baseball and the National Football League. Baseball's first fully professional team, the Cincinnati Red Stockings of 1869, were organized in Ohio. An informal early-20th-century American football association, the Ohio League, was the direct predecessor of the NFL, although neither of Ohio's modern NFL franchises trace their roots to an Ohio League club. The Pro Football Hall of Fame is located in Canton. In Division I-A, representing the Big Ten, the Ohio State Buckeyes football team ranks 5th among all-time winningest programs,[ citation needed ] with seven national championships and seven Heisman Trophy winners. Their biggest rivals are the Michigan Wolverines, whom they traditionally play each year as the last game of their regular season schedule. 1 2 3 4 5 6 7 8 9 10 11 "Ohio's State Symbols". Ohio Governor's Residence and State Garden. Retrieved March 26, 2009. 1 2 3 4 Bureau, U.S. Census. "American FactFinder - Results". factfinder2.census.gov. 1 2 "Why is Ohio known as the Buckeye State and why are Ohioans known as Buckeyes?" (PDF). November 1998. Retrieved December 7, 2018. 1 2 "City of Columbus: Fun Facts". City of Columbus, Ohio. 2006. Archived from the original on May 1, 2009. Retrieved March 26, 2009. 1 2 "Elevations and Distances in the United States". United States Geological Survey. 2001. Archived from the original on July 22, 2012. Retrieved October 24, 2011. 1 2 Mary Stockwell (2006). Ohio Adventure. Gibbs Smith. p. 88. ISBN 978-1-4236-2382-3. ↑ Pollard, Kelvin (2008). "Swing, Bellwether, and Red and Blue States". Population Reference Bureau. Retrieved March 25, 2009. ↑ "Transportation delivers for Ohio". Ohio: Department of Transportation. February 12, 2003. Archived from the original on January 24, 2008. Retrieved December 22, 2005. ↑ "Ohio Coastal Counties". Ohio: Department of Natural Resources. Retrieved September 3, 2008. 1 2 "Ohio v. Kentucky, 444 U.S. 335". Find law. January 21, 1980. Retrieved August 15, 2016. ↑ "History of the Appalachian Regional Commission". Appalachian Regional Commission. Archived from the original on December 22, 2005. Retrieved January 3, 2006. ↑ "Counties in Appalachia" Archived September 17, 2008, at the Wayback Machine , Appalachian Regional Commission. Retrieved January 3, 2006. ↑ "The History of the MCD: The Conservancy Act". Miami Conservancy District. Archived from the original on March 14, 2007. Retrieved January 13, 2007. ↑ "State of Emergency in 37 Ohio Counties Declared". www.governor.ohio.gov. March 20, 2019. Retrieved March 21, 2019. ↑ "Ohio climate averages". Weatherbase. Retrieved November 12, 2015. ↑ "All-Time Temperature Maximums By State (2003)" (PDF). National Climatic Data Center . Retrieved November 7, 2006. ↑ "All-Time Temperature Minimums By State (2003)" (PDF). National Climatic Data Center . Retrieved November 7, 2006. ↑ McLeod, Jaime (February 6, 2012). "The Great Blizzard of 1899: Deep South, Deep Freeze". The Farmer's Almanac. Retrieved February 5, 2016. ↑ Ohio Seismic Network, What was the biggest earthquake in Ohio? ↑ Historic Earthquakes: Western Ohio Archived December 13, 2007, at the Wayback Machine , U.S. Geological Survey. ↑ "Historic United States Earthquakes. Ohio". US: Geological Survey. Archived from the original on October 7, 2009. ↑ "Historic Earthquakes. Near Lima, OH, 1884‐9‐19". US: Geological Survey. Archived from the original on September 9, 2009. ↑ "Historic Earthquakes. Near Portsmouth, OH, 1986‐1‐31". US: Geological Survey. Archived from the original on September 9, 2009. ↑ "Historic Earthquakes. Northeast Ohio, 1986‐1‐31". US: Geological Survey. Archived from the original on September 9, 2009. ↑ "The Ohio Seismic Network. January 1986 Northeastern Ohio Earthquake". Ohio Department of Natural Resources . Retrieved September 13, 2009. ↑ "Magnitude 4.0 – Youngstown‐Warren urban area, OH". US: Geological Survey. Archived from the original on January 7, 2012. Retrieved December 31, 2011. ↑ "The Ohio Seismic Network". OH: Department of natural resources. ↑ "Ohio (USA): State, Major Cities, Villages & Places". City Population. February 19, 2011. Retrieved July 13, 2015. 1 2 Knepper (1989), p. 9. 1 2 Knepper (1989), p. 10. ↑ Knepper (1989), p. 11. ↑ Douglas T. Price; Gary M. Feinman (2008). Images of the Past, 5th edition. New York: McGraw-Hill. pp. 274–277. 1 2 3 Knepper (1989), p. 13. ↑ "Monongahela culture-AD 1050-1635". Fort Hill Archeology. Retrieved 2010-01-14. ↑ Knepper (1989), p. 14. ↑ Roseboom (1967), p. 20. ↑ louis, franquelin, jean baptiste. "Franquelin's map of Louisiana.". LOC.gov. Retrieved August 17, 2017. ↑ Knepper (1989), pp. 14–17. ↑ Knepper (1989), pp. 43–44. ↑ "Pontiac's Rebellion" Archived April 3, 2009, at the Wayback Machine , Ohio History Central, July 1, 2005. ↑ Cayton (2002), p. 3. ↑ "Religion and the Congress of the Confederation, 1774–89". Library of Congress. Retrieved April 11, 2012. ↑ An act to provide for the due execution of the laws of the United States, within the state of Ohio, ch. 7, 2 Stat. 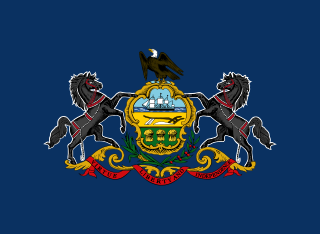 201 (February 19, 1803). 1 2 Blue, Frederick J. (Autumn 2002). "The Date of Ohio Statehood". Ohio Academy of History Newsletter. Archived from the original on September 11, 2010. ↑ Joint Resolution for admitting the State of Ohio into the Union, (Pub.L. 83–204 , 67 Stat. 407 , enacted August 7, 1953). 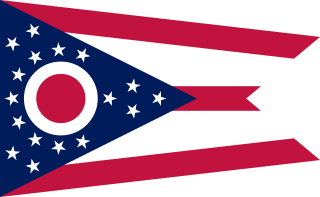 ↑ "Clearing up the Confusion surrounding OHIO's Admission to Statehood". ↑ Knepper (1989), pp. 233–234. ↑ Roseboom and Weisenburger (1967), p. 188. ↑ "Morgan's Raid - Ohio History Central". www.ohiohistorycentral.org. ↑ Cayton (2002), p. 129. ↑ Morris (1992), pp. 10–11. ↑ Cayton (2002), pp. 128–129. ↑ "State Nicknames – Nicknames of U.S. States". Geography.about.com. Retrieved July 2, 2010. ↑ Resident Population Data. "Resident Population Data – 2010 Census". 2010.census.gov. Archived from the original on October 19, 2013. Retrieved February 18, 2012. 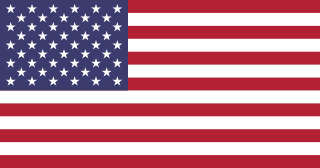 1 2 "QuickFacts Ohio; UNITED STATES". 2018 Population Estimates. United States Census Bureau, Population Division. January 16, 2019. Retrieved January 16, 2019. ↑ "Census of Population: 1970, Part 37 – Ohio, Section 1" (PDF). United States Census Bureau. 1970. Retrieved March 27, 2009. ↑ Balistreri, Kelly (February 2001). "Ohio Population News: Why did Ohio lose a seat in the U.S. House of Representatives?" (PDF). Center for Family and Demographic Research at Bowling Green State University. Archived from the original (PDF) on May 16, 2008. Retrieved March 27, 2009. 1 2 "2000 Population and Geographic Centers of Ohio" (PDF). Ohio Department of Development, Office of Strategic Research. March 2001. Archived from the original (PDF) on November 24, 2005. Retrieved March 26, 2009. ↑ "Population and Population Centers by State: 2000". United States Census Bureau. Archived from the original on June 22, 2013. Retrieved December 6, 2008. ↑ "Americans under age 1 now mostly minorities, but not in Ohio: Statistical Snapshot". The Plain Dealer . June 3, 2012. ↑ Bureau, U. S. Census. "American FactFinder - Results". factfinder.census.gov. Archived from the original on March 5, 2014. ↑ Bureau, U. S. Census. "American FactFinder - Results". factfinder.census.gov. Archived from the original on December 18, 2014. ↑ "Historical Census Statistics on Population Totals By Race, 1790 to 1990, and By Hispanic Origin, 1970 to 1990, For The United States, Regions, Divisions, and States". July 25, 2008. Archived from the original on July 25, 2008. ↑ "Population of Ohio: Census 2010 and 2000 Interactive Map, Demographics, Statistics, Quick Facts". ↑ "US Census Bureau 2010 Census". www.census.gov. ↑ "American FactFinder - Results". factfinder2.census.gov. ↑ "Data Center Language List". 1 2 3 4 5 6 "Religious Composition of Ohio". The Pew Forum on Religion & Public Life. 2008. Archived from the original on March 6, 2008. Retrieved March 27, 2009. ↑ "Jewish Population in the United States, by State". Jewish Virtual Library. Retrieved May 14, 2013. ↑ "The Association of Religion Data Archives | State Membership Report". www.thearda.com. Retrieved December 16, 2013. 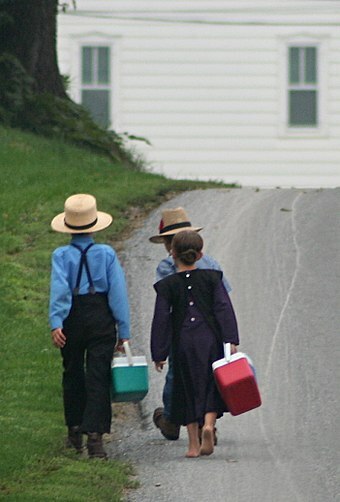 ↑ "Amish Studies: "Population Change 2010–2015"" (PDF). Archived from the original (PDF) on March 4, 2016. ↑ "Site Selection Rankings". Greyhill Advisors. Retrieved October 17, 2011. ↑ "Columbus Chamber Announces Ohio Ranked on 'Top 10 Business Climates' List for 2009", Earth Times. Retrieved November 19, 2009. ↑ Analysis, US Department of Commerce, BEA, Bureau of Economic. "Bureau of Economic Analysis". www.bea.gov. 1 2 3 4 5 6 7 "Economic Overview" (PDF). Ohio Department of Development. February 2009. Archived from the original (PDF) on March 26, 2009. Retrieved March 31, 2009. ↑ "Business Tax Index 2009" Archived April 19, 2009, at the Wayback Machine , SMALL BUSINESS & ENTREPRENEURSHIP COUNCIL. Retrieved December 2, 2009. ↑ "SMALL BUSINESS SURVIVAL INDEX 2009" Archived December 28, 2009, at the Wayback Machine , SMALL BUSINESS & ENTREPRENEURSHIP COUNCIL. Retrieved December 2, 2009. ↑ "The Best States for Business" Archived July 10, 2011, at the Wayback Machine , Directorship. Retrieved December 2, 2009. ↑ "The Best States For Business", Forbes. Retrieved December 2, 2009. ↑ "Best Colleges 2010" Archived December 2, 2009, at the Wayback Machine , U.S. News & World Report. Retrieved December 2, 2009. ↑ "Best High Schools: State by State Statistics" Archived April 30, 2009, at the Wayback Machine , U.S. News & World Report. Retrieved December 2, 2009. ↑ "Jobless rates fall again in southeastern Ohio" Archived November 1, 2013, at the Wayback Machine , Zanesville Times-Recorder. June 23, 2010. Retrieved June 25, 2010. 1 2 Olivera Perkins (May 22, 2015) Ohio's unemployment rate up to 5.2 percent: 5 things you need to know Cleveland.com. ↑ "Strickland: Mature leader needed, rival Kasich is too radical", Dayton Daily News. June 22, 2010. Retrieved June 25, 2010. ↑ "Economic Overview" Archived March 26, 2009, at the Wayback Machine , Ohio Department of Development, p. 1. Retrieved November 19, 2009. ↑ "Fortune 500 2008". . May 5, 2008. Retrieved March 31, 2009. ↑ "Lottery Results" (SHTML). Office of Citizen Services and Communications, General Services Administration . Retrieved March 31, 2009. ↑ "About the Ohio Lottery". Ohio Lottery Commission. 2008. Retrieved March 31, 2009. ↑ Kissell, Margo R. (March 24, 2009). "Englewood Man Wins $250,000 in Lottery". Englewood, O.H. : Dayton Daily News . Retrieved March 31, 2009. ↑ Vitale, Marty (May 29, 2014). "Report to SCOH". Louisville, Kentucky: Special Committee on U.S. Route Numbering, American Association of State Highway and Transportation Officials. Archived from the original (Office Open XML) on May 31, 2014. Retrieved June 1, 2014. 1 2 3 "Constitution Online". Ohio General Assembly. Retrieved March 25, 2009. ↑ "Constitution Online". Ohio General Assembly. Retrieved March 25, 2009. ↑ "The Governors of Ohio". Ohio Historical Society. January 8, 2007. Archived from the original on June 5, 2011. Retrieved March 25, 2009. ↑ "Ohio District Courts of Appeal". Ohio Judiciary System. Retrieved March 25, 2009. ↑ "The Supreme Court of Ohio Jurisdiction & Authority". The Ohio Judicial System. Retrieved March 25, 2009. ↑ "Constitution Online". Ohio General Assembly. 2009. Retrieved March 25, 2009. ↑ "Ohio General Assembly". Ohio History Central. July 1, 2005. Retrieved March 25, 2009. ↑ "Population represented by state legislators – Ballotpedia" . Retrieved March 6, 2017. ↑ "Government". Congressman Michael Turner. Archived from the original on March 25, 2009. Retrieved March 25, 2009. 1 2 Ann Heinrichs (January 1, 2003). Ohio. Capstone. p. 42. ISBN 978-0-7565-0316-1. ↑ Holli (1999), p. 162. ↑ " A grain of sand for your thoughts", The Economist, December 20, 2005. Retrieved December 23, 2005. 1 2 3 4 5 6 "Graphic: Donkey Stampede". Columbus Dispatch. August 22, 2008. Archived from the original on May 10, 2011. Retrieved March 29, 2009. ↑ "President / Vice President: November 4, 2008". Ohio Secretary of State. November 4, 2008. Retrieved March 10, 2015. ↑ Hallett, Joe; Mark Niquette; Jonathan Riskind (November 6, 2008). "Total-state Approach Aided Obama". Columbus Dispatch. Archived from the original on May 10, 2011. Retrieved March 29, 2009. 1 2 "Ohio – Election Results 2010 – The New York Times". ↑ Riskind, Jonathan (December 24, 2008). "Ohio likely to lose 2 seats in Congress in 2012". Columbus Dispatch. Archived from the original on May 10, 2011. Retrieved March 29, 2009. ↑ Brady, Jessica (November 6, 2008). "Democrats Gain in Michigan and Ohio". Roll Call . Retrieved March 29, 2009. ↑ Nash, James (December 7, 2008). "Kilroy is Headed to Congress". Columbus Dispatch. Archived from the original on May 22, 2016. Retrieved March 29, 2009. ↑ "Senators of the 111th Congress". United States Senate . Retrieved March 29, 2009. ↑ "Rep. Marcy Kaptur (D-OH) Urges Homeowners to Stay in Foreclosed Homes". Democracy Now. February 3, 2009. Archived from the original on February 11, 2009. Retrieved March 29, 2009. 1 2 "Thomas J. Hennen's American Public Library Ratings for 2006" (PDF). Archived from the original (PDF) on October 28, 2008. ↑ "Average Statewide Scores". Archived from the original on October 29, 2008. ↑ "The Official Site of the Cincinnati Reds". Major League Baseball . Retrieved March 28, 2009. ↑ "The Official Site of the Cleveland Indians". Major League Baseball. Retrieved March 28, 2009. 1 2 "NFL Teams". National Football League . Retrieved March 28, 2009. ↑ "NBA.com Team Index". National Basketball Association. Retrieved March 28, 2009. ↑ "NHL Teams". National Hockey League. Retrieved March 28, 2009. ↑ "Major League Soccer Teams". Major League Soccer. Archived from the original on February 21, 2009. Retrieved March 28, 2009. ↑ Griffith, Grant (2007). "Legend of the Cincinnati Red Stockings". Cincinnati Vintage Base Ball Club. Archived from the original on July 24, 2008. Retrieved March 28, 2009. ↑ "Ohio Attorney General". Ohio Attorney General. Retrieved July 6, 2009. ↑ "Herb Capital of Ohio". Ohio Historical Society. July 1, 2005. Retrieved March 27, 2009. 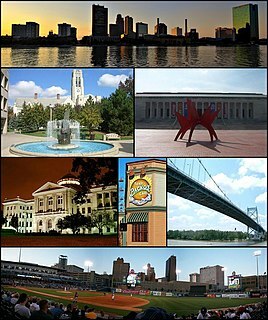 Toledo is a city in and the county seat of Lucas County, Ohio, United States. Toledo is in northwest Ohio, at the western end of Lake Erie bordering the state of Michigan. The city was founded in 1833 on the west bank of the Maumee River, and originally incorporated as part of Monroe County, Michigan Territory. It was re-founded in 1837, after conclusion of the Toledo War, when it was incorporated in Ohio. The history of Jews in Ohio dates back to 1817, when Joseph Jonas, a pioneer, came from England and made his home in Cincinnati. He drew after him a number of English Jews, who held Orthodox-style divine service for the first time in Ohio in 1819, and, as the community grew, organized themselves in 1824 into the first Jewish congregation of the Ohio Valley, the B'ne Israel. This English immigration was followed in the next two decades by the coming of German immigrants who, in contrast, were mostly Reform Jews. A Bavarian, Simson Thorman, settled in 1837 in Cleveland, then a considerable town, which thus became the second place in the state where Jews settled. Thorman was soon followed by countrymen of his, who in 1839 organized themselves into a congregation called the Israelitish Society. The same decade saw an influx of German Jews into Cincinnati, and these in 1841 founded the Bene Yeshurun congregation. To these two communities the Jewish history of Ohio was confined for the first half of the 19th century. In 1850 Ohio had six congregations: four in Cincinnati and two in Cleveland. The University System of Ohio is the public university system of the state of Ohio. It is governed by the Ohio Department of Higher Education. Jon A. Husted is the 66th and current lieutenant governor of Ohio, since 2019. He was previously the 53rd Ohio Secretary of State. A member of the Republican Party, he previously represented the 6th District of the Ohio Senate from 2009 to 2011 and was a member of the Ohio House of Representatives from 2001 to 2009. From 2005 to 2009, Husted served as Speaker of the Ohio House of Representatives and remains one of the youngest people to ever become Ohio House Speaker. The economy of Ohio nominally would be the 21st largest global economy behind Saudi Arabia and ahead of Argentina according to the 2017 International Monetary Fund GDP estimates. The state had a GDP of $656.19 billion in 3rd quarter of 2017, up from $517.1 billion in 2012, and up from $501.3 billion in 2011, according to the Bureau of Economic Analysis. In 2013, Ohio was ranked in the top ten states for best business climate by Site Selection magazine, based on a business-activity database. The state was edged out only by Texas and Nebraska for the 2013 Governor's Cup award from the magazine, based on business growth and economic development. A new report by the Quantitative Economics and Statistics Practices (QUEST) of Ernst & Young in conjunction with the Council On State Taxation (COST), ranks Ohio as third in the nation for friendliest tax environment. The study, "Competitiveness of state and local business taxes on new investment," provides a state-by-state comparison of tax liabilities. The top five states ranked with the lowest effective tax rate on new investment are: (1) Maine (3.0%); (2) Oregon (3.8%); (3) Ohio (4.4%); (4) Wisconsin (4.5%); and (5) Illinois (4.6%). The Buckeye Institute is a 501(c)(3) nonpartisan, free-market public policy think tank. The organization, based in Columbus, Ohio, says its mission is "to advance free-market public policy in the states." Hungarian Ohioans are Hungarian Americans living in Ohio. Their number was 203,417 in 2010 and 183,593 in 2014. Fairport Harbor, Ohio is 11.8% Hungarian American. In Cleveland and its neighboring areas there live more than 107,000 Hungarians, of which over 7,400 speak the language, the third highest number in the nation. Some resources stated that there was time when Cleveland was the second greatest Hungarian settlement outside Budapest. Most of the Hungarians live in Cuyahoga County, Ohio, where they make up 3.1% of the total population. There is also a large colony of Hungarians in Toledo, Ohio. Two former local representatives reside in Toledo: Peter Ujvagi and Matt Szollosi. In Toledo one can find the famous Tony Packo's Cafe. Ohio has been involved in regional, national, and global conflicts since statehood. As a result of the global conflicts, the American Veterans of Foreign Service was established in 1899 in Columbus, ultimately becoming known as the Veterans of Foreign Wars in 1913. The state has produced 319 Medal of Honor recipients, including the first recipient of the award in the country Jacob Parrott. Ohio is home to many professional and college sports teams. The metropolitan areas of Cleveland, Cincinnati, and Columbus are home to major league professional sports teams in baseball, basketball, football, hockey, and soccer. The Cincinnati metropolitan area, informally known as Greater Cincinnati or the Greater Cincinnati Tri-State Area, is a metropolitan area that includes counties in the U.S. states of Ohio, Kentucky, and Indiana around the Ohio city of Cincinnati. 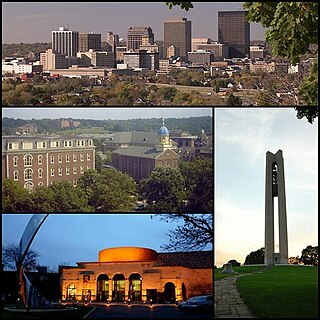 The United States Census Bureau's formal name for the area is the Cincinnati–Middletown, OH–KY–IN Metropolitan Statistical Area. As of the 2010 U.S. Census, this MSA had a population of 2,114,580, making Greater Cincinnati the 29th most populous metropolitan area in the United States, the first largest metro area entirely in Ohio, followed by Cleveland (2nd) and Columbus (3rd).